Some believe that leading technology comes at a higher price, but recently updated research from Analysys Mason has shown this assumption can be false. We found that an average 500-user organization can adopt a feature-rich, scalable unified communications (UC) solution from Cisco for less than competitive solutions. Over a 5-year period, the Cisco Business Edition 6000 (BE 6000) solution—a unified communications solution built for midsize companies—was US$30,000 less than the comparable solution from ShoreTel, US$42,000 less than the comparable Avaya solution, and US$145,000 less than the comparable solution from Mitel. 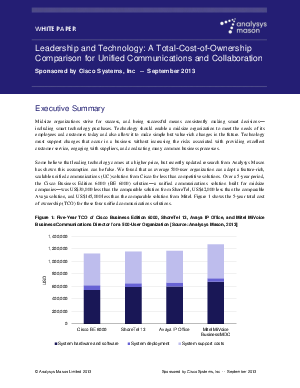 Figure 1 shows the 5-year total cost of ownership (TCO) for these four unified communications solutions.